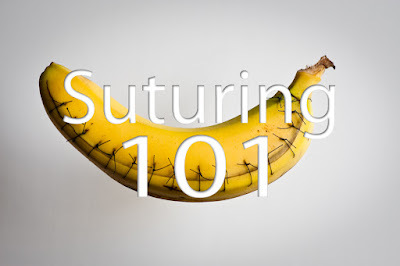 This post is part of the Basic Guide to Suturing series. 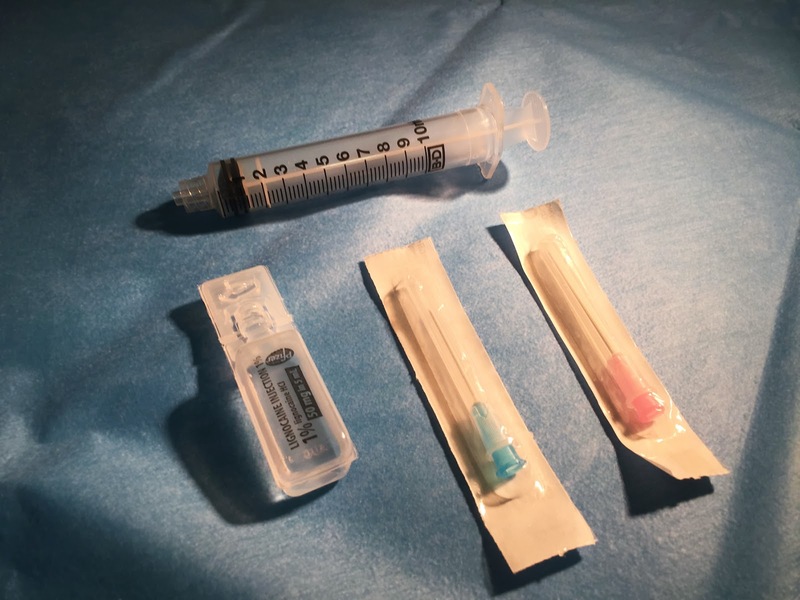 Here we take a look at using local anaesthetic, to help us manage a simple wound/laceration. Firstly a recap of the wound management process. Remember if cleaning the wound is painful or difficulty to examine, anaesthetising earlier may be beneficial and kinder to your patient. It is important as a Medical Student or Junior Doctor to have a basic understanding of the side-effects, doses and key properties of common local anaesthetics. In general, local anaesthetics work by stabilising the neuronal membrane and preventing the transmission of nerve impulses. An overview of Lignocaine is provided here. For other agents, see the comparison table below. For more details see Local Anaesthetics by the Royal Adelaide ICU, useful resource for those studying for the various critical care primary examinations. Lignocaine is one of the most commonly used local anaesthetic agents. It is suitable for surface, infiltration, nerve block, caudal, epidural, and spinal anaesthesia. Maximum dose of lignocaine without adrenaline is ~3 mg/kg. Maximum dose of lignocaine with adrenaline is ~7 mg/kg. Adrenaline is a common additive in your local anaesthetic. Acting as a vasoconstrictor, it helps prolong the action of your local anaesthetic, decrease systemic absorption and risk of toxicity, and reduce traumatic blood loss. Consequently, it also allows you to deliver a higher dose of your local anaesthetic. Be aware of the parameters of the Local Anaesthetic you are using and it's safety profile. See the table below for common local anaesthetic agents. More details on how to accurately dose local anaesthetics in Optimising Local Anaesthetic Administration. Discuss with and gain patient consent for the procedure. Consider use of topical analgesics, as they will take some time to work. Gather required equipment and don PPE. Draw up your local anaesthetic by either sharp or blunt needle, or directly via syringe from the ampule. Prepare skin with cleansing agent (chlorhexidine or povidone-iodine) if infiltrating through intact skin. Allow skin to air-dry or dry with your sterile gauze. Remove any gross contamination inside the wound with normal saline. Then insert the needle directly though the wound edge (rather than intact skin where possible) into the subcutaneous layer. Aspirate to rule out intravascular placement. Advance needle forward and slowly inject small volumes of LA. Alternatively advance needle the full distance and inject slowly on withdrawal. Repeat until the area is fully anaesthetised or maximum dose is reached. Re-insert the needle if required through previously anaesthetised areas. Wait for the anaesthetic to take effect, and then test for adequate coverage. Use either your injection needle or other sharp object (e.g. suture needle) to test anaesthetic coverage. You are now free to further examine, clean/irrigate the wound or begin your primary procedure (e.g. suturing). Patients should be advised of likely timeframes for recovery of full sensation after Local Anaesthetic administration. Consequently, it is also important to assess neurovascular status prior to injecting local anaesthetic. See Optimising Local Anaesthetic Administration for handy tip/tricks.